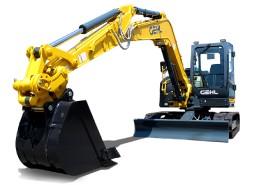 Kuang Yi Machinery & Trading Sdn Bhd, incorporated in 1993, is a dynamic and fast-growing company that specializes in the sales of new and used equipment as well as the rental of industrial and construction machinery. Our company is located in Johor Bahru (JB), Johor. We supply products such as excavator, mini excavator, fork grapple, crusher, forklift, plate compactor, air breaker, air compressor, generator, bar cutter & bender, concrete mixer, vibration roller, etc. Our specialty has enhanced our position as the one-stop reconditioning, sales and rental centre for equipment and machinery in the region.